The car salesman has become a cultural cliche for representing shady deals. Most people know that used car dealers specifically have plenty of scam tactics. And consumers pretty well expected to find some hidden fees when buying a car, too. Getting tricked by the fine print and confusing terms has become the standard for a car buying experience. But is it possible for consumers to avoid used car dealer fees? To an extent, yes. Understanding these fees is an important first step, and there are a few tricks you can use to battle back against the used car salesman. Document processing fees go by a large range of names. Call them processing fees, administration fees, conveyance charges, or ‘doc fees’ (a term used often), but they all refer to the same thing. These fees are charged by car dealerships to cover their cost of handling the vehicle’s paperwork and processing. Though the paperwork for the purchase, title, and registration is necessary, it’s arguable how much this could actually cost the dealerships. Doc fees are not required by law or government regulation like sales taxes are. However, some states do have caps that strictly limit the dealership fees, and they vary greatly state to state. For a dealership to maintain their documentation systems and administration, you could end up paying additional fees anywhere from $55 – $1000. A several-hundred-dollar fee is nothing to overlook. Doc fees are often already written into the contract to appear unavoidable. But don’t despair – there are a few things that you can do to avoid dealer fees when buying a used car! The first way to fight back is by thoroughly reviewing the fine print. Ask the dealer for a line by line itemization of what the doc fee pays for in addition to what is already written. Never agree to pay for what doesn’t make sense. By using a contract review app, this first trick becomes pretty easy. 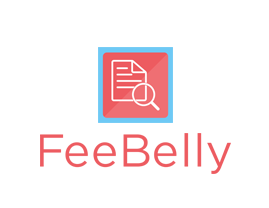 Apps like FeeBelly allow you to scan the agreement for keywords (like “dealer fees,” “conveyance fees,” or “doc fees”), and give you the opportunity for the second trick: negotiation. Once you’ve found the total cost of fees added to the final price of your used car, then you can start winding down the bottom line. Dealers often play hardball with this fee since it relates to the amount that lands in their pockets. But while the dealer may not be able to remove a $500 doc fee, they might be able to knock the total price of the car down $500 to compensate for it. The fee actually remains listed on the agreement, but the end price doesn’t reflect it. Depending on what you’re buying, what state you are buying it in, and other factors (trade-ins, etc), negotiating this fee can change your overall satisfaction with the purchase. And it can definitely help to keep you from feeling swindled by a used car salesman.